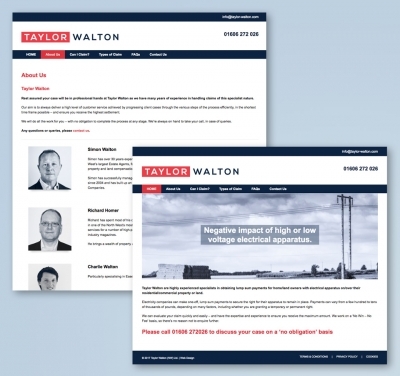 After recently making a few changes to Taylor Walton’s website after a change of address, Taylor Walton approached us for a website migration away from their current web host. As their website is quite small and outdated on the back end, we came up with a simple solution of rebuilding their website in a new and fresh up-to-date Avada theme. The brief was to keep the same style and design as the previous website which I would say is about 95% the same, plus it now also has the added benefits of being right up to date. The new website is now a lot more future proof should Taylor Walton wish to change or add more features. J Bown came to me with an existing website from the late nineties so it was always going to be a new website from scratch. Working with the client based on the popular Avada WordPress theme we went about building the website which you can view from the link below. 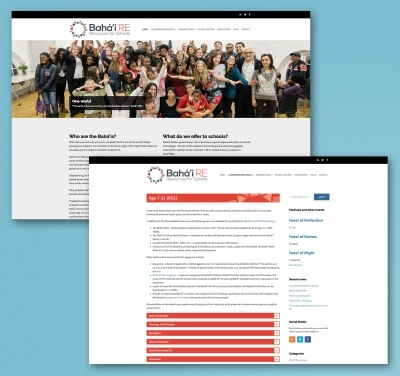 After designing the Bahá’í RE logo I went on to creating their website which makes use of the logo colours for specific sections of the website. Working with the client based on a WordPress theme of their choice, we started building the website, adding in a few tailor made graphics and extra coding to add some functionality to the download section. The client is adding content themselves and its increasing in size on a daily basis. 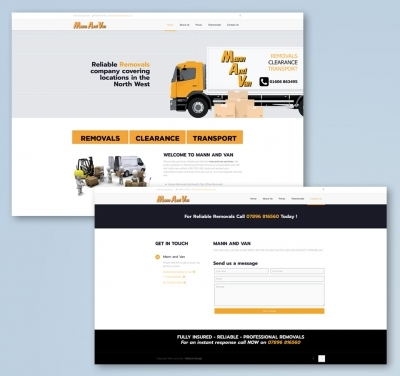 Mann and a Van had some issues after migrating a website to new hosting. Instead of updating all the plugins and trying to tidy up a few problems with the existing website we offered a good deal for practically the same cost by buying a new theme and transferring all the current content over to mirror the old site. Going forwards this created a more responsive and up to date website which we will continue to improve over time as and when necessary, plus the client likes to get involved and tinker with things themselves. This e-commerce website is created from a themed template and the client was very involved in the overall look of the site which is made up from a lot of graphics and banners which I created. The client now fully manages the website for themselves and adds and updates content on a daily basis. 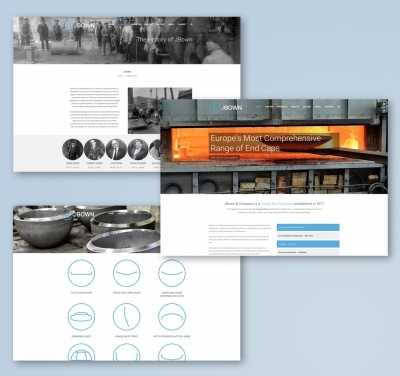 After already producing a bespoke website for Steel Dynamics in September 2012, I was asked to create a new website for them nearly 3 years on. 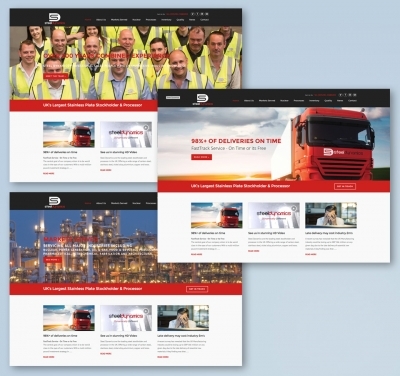 This time a WordPress theme was chosen and installed, this allowed us to work to a set budget whilst still keeping the flexibility of employees being able to keep the site up to date themselves once handed over. Visit www.steel-dynamics.co.uk and have a look. 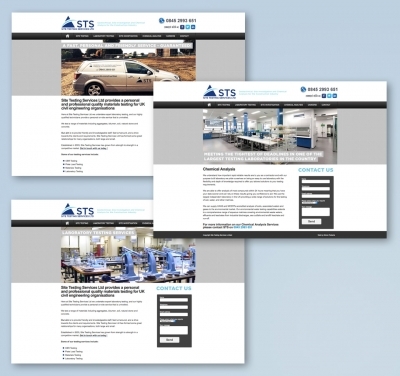 Site Testing Services came to me for a new logo and website based on an allocated budget to work to. The client gave me clear guidelines and visuals of how the logo needed to look and once approved a small but functional website was designed to replace a tired and old looking previous version. Search for Site Testing Services to find more portfolio items. Working for Chalet Finder on their first job has been great and a nice change working solely with Photoshop. The image I have created is for a web banner for their new website. It is 6 separate pictures combined to recreate a very wide panoramic image to cover small and large monitors. Starting on the far left we have a chalet image with a family superimposed onto the front, then some chalets placed in the middle foreground, a panoramic sky and mountain range in the background that has been extended, a ski slope and more chalets to the right with a skier placed onto the slope to create the finishing touch. Their website has since been updated so the image is not online anymore. Steel Dynamics are a new company established in September 2012. They initially came to me for logo creation and stationery to get them up and running. This led to the requirement of a start up website to get them through their first 6-18 months. 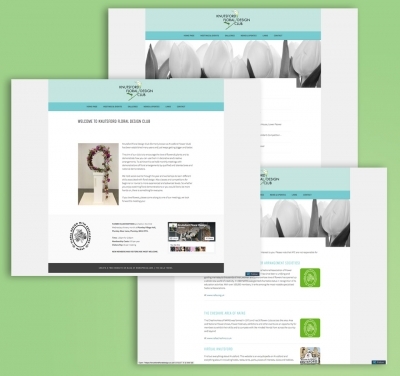 Before the website was launched there was a temporary website with a countdown to launch time and other work such as stationery, pullup banners, signage and the download brochure were created. Search for Steel Dynamics to find more portfolio items. Search for Steel Dynamics to find more portfolio items.